if not a tine of the fork: omit it! 86 it! Expunge freely, without apology or regret. 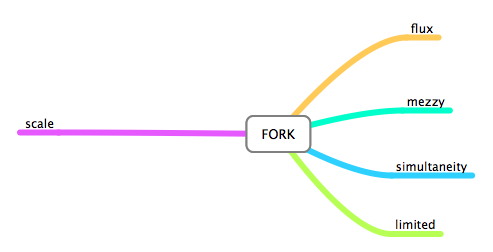 Annihilate the non-fork, the non-forked, the non-forkable! Other logics might try to reason too well, might point out, in awareness of fork as bifurcating system, that a tine can bifurcate as so to reach everything reachable, that some twists in bifurcating systems become involved in chokeholds, knots that, as tourniquets are meant to do, stop blood flow and mean a death of certain bright streams. 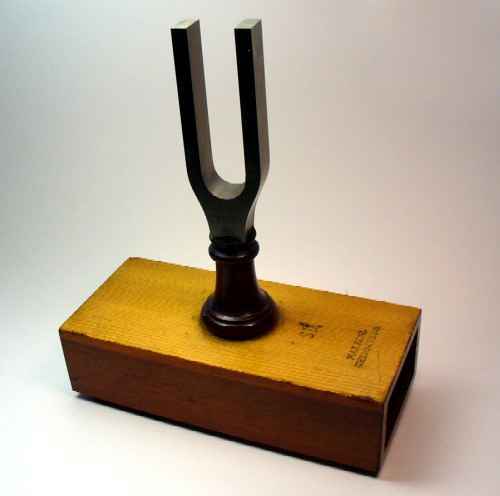 But for as much as a bifurcating fork system might seem to admit, admittance is granted to far less than everything; instead, only residue gets in, only a fraction of what the fork attempted to access let alone what the fork didn't even try to access (yet) at all, because between the tines are riffs, chasms, gateways, spaces that support entrance, exist and modification of entrances, exists, and modifications of what enters, exists. Even were nets placed between tines, the mesh (even just the mesh of thinking) would permit the loss of something through the fine, ever finer but still there holes —something going on in the atomic, the subatomic, the nano. Maybe something wonderful. Because, you know, Pandora's fork, and the taffy of hope stuck to it that was all she had left. In One Word: Contemporary Writers on the Words They Love or Loathe, Molly McQuade asks the question all writers love to answer: what one word means the most to you, and why? Writers respond with a wild gallimaufry of their own choosing, from ardor to bitchin’ to themostat to wrong to very. There is corn, not the vegetable but the idea, defining cultural generations; solmizate, meaning to sing an object into place; and delicious slang, such as darb and dassn’t. Composed as expository or lyric essays, zinging one-liners, extended quips, jeremiads, etymological adventures, or fantastic romps, the writings address not only English words but also a select few from French, German, Japanese, Quechua, Basque, Igbo, and others. The result is like the best of meals, filled with color, personality, and pomp. There is something delightful and significant for every reader who picks up this wonderful book. —John Morse, President and Publisher of Merriam-Webster, Inc.